"He's the best star actor there ever was in the movies," film critic Richard Schickel declared. Schickel and Robert Trachtenberg, writer-director of TCM documentary "Cary Grant: A Class Apart," which premiered in Cannes Wednesday, talked about Grant as part of the Variety Conference Series. The session, moderated by Variety home entertainment editor Scott Hettrick, covered the vast landscape of Grant's life and attempted to shed light on why no one seems to have come close to replacing the legendary star. 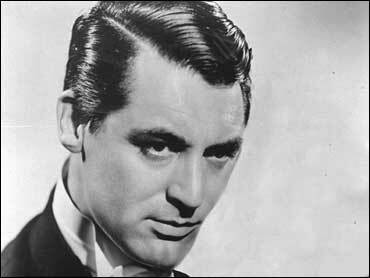 "You simply can't replicate Grant's career," said Schickel, author of "Cary Grant: A Celebration." "It wasn't just the charm. There was a dark side, a kind of unease he had, that made him a legendary screen figure. "... If you look at the early Paramount movies he made, there's only one or two where he isn't at unease onscreen. He's like a guy at the party who doesn't know he's the handsomest guy there." Since so many who had worked with Grant are now deceased, Trachtenberg said it was difficult capturing remembrances for his movie, which will be seen June 1 on cable channel TCM. However, there were also those who wanted to participate whom he nixed. "I had a huge list of people, at least 50 who said they knew Cary, but I would run the names by his widow, who said he hadn't talked to most of them in years. My criterion was to find those who knew him best," a list that included ex-wives such as Betsy Drake, he said. Unlike many actors today, Grant was not afraid to work with the strong-willed major directors of his time, Schickel said, like Howard Hawks, George Cukor and Alfred Hitchcock, who liked to show Grant in a different mode. "Part of Hitch's relationship is there was always some need on his part to deface that image. Watch the steady degradation of Grant in 'North by Northwest,' " he observed. Despite his suave good looks, Trachtenberg said, Grant could do it all, including taking pratfalls with the best of them. Schickel credited that ability to Grant's early days in English music halls, the same kind of environment that produced Charlie Chaplin. "I think he was a consummate actor. There was infinite focus on his work. It's all about concentration, intelligence, knowing what to do, what not to do," Trachtenberg said. After Grant retired from the screen in 1966 (his last film was "Walk, Don't Run"), Trachtenberg said, he rarely showed much interest in Hollywood, preferring to be a businessman and pursue other things in life that had nothing to do with movies. Numerous attempts to entice him to make a comeback failed. "The kind of pictures he was best in weren't even being made anymore. Most of what he did in the '50s don't even compare to what he did in the '30s and some of the '40s," Schickel said. "They say you have to know when to hold 'em and know when to fold 'em. He folded at the right time." Warner Bros. Home Video, which is releasing a boxed set of Grant films to mark his 100th birthday, sponsored the session.